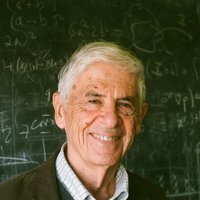 Applied mathematics, numerical methods, computational physics, computational statistics. A. J. Chorin and O. H. Hald, Estimating the uncertainty in underresolved nonlinear dynamics, Math. Mech. Solids 19 (2014), pp. 28-38. F. Lu, M. Morzfeld, X. Tu, and A. J. Chorin, Limitations of polynomial chaos expansions in the Bayesian solution of inverse problems, J. Comput. Phys. 282 (2015), pp. 138-147. A.J. Chorin and F. Lu, Discrete approach to stochastic parametrization and dimension reduction in nonlinear dynamics, Proc. Nat. Acad. Sc. USA 112 (2015), pp. 9804-9809. M. Morzfeld, X. Tu, J. Wilkening, and A.J. Chorin, Parameter estimation by implicit sampling, Comm. Appl. Math. Comp. Sc. 10 (2015), pp. 205-225. A.J. Chorin, F. Lu, R. Miller, M. Morzfeld, and X. Tu, Sampling, feasibility, and priors in data assimilation, Disc. Cont. Dyn. Syst. 36 (2016), pp.4427-4446.